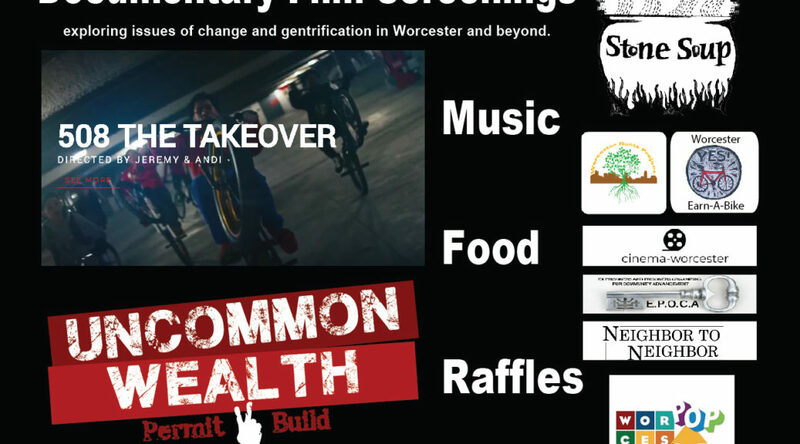 Documentary Film Screenings exploring issues of change and gentrification in Worcester and beyond. Presented by Central Mass Film Festival and Stone Soup. Tickets (also available at door) here (coming soon).